There’s only one band on the planet that knows how to work instruments such as the toe-bourine, the buke—which is a six-string ukelele—and the gase, a guitar/bass hybrid. 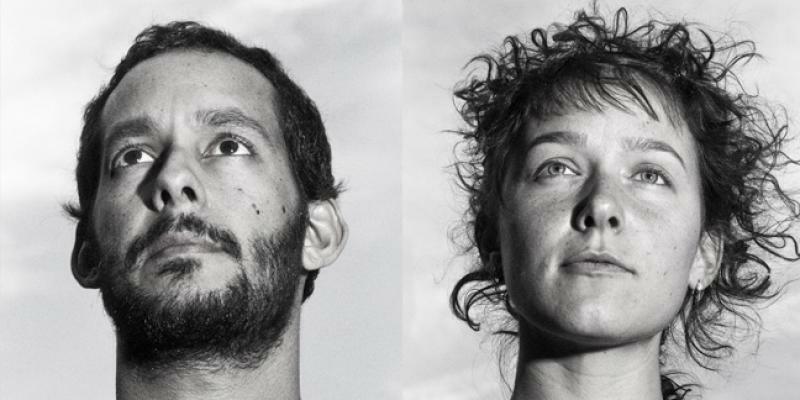 This band is Buke & Gase, brainchild of Arone Dyer and Aron Sanchez, both of whom are Brooklyn natives. Their expertise is rooted in the fact that they came up with each of these instruments themselves, having turned once-commonplace music-makers into colossal innovations. Having met in 2000, the two wasted no time getting their musical careers up and running. Before they pioneered Buke & Gase six years ago, Dyer and Sanchez dabbled in electronic music together for some time, then played in a four-piece band called Hominid. For the entirety of their musical career, now more than ever, the duo has prided themselves on drawing inspiration from all over. For that reason, any given review of a Buke & Gase album or show will offer up an entirely unique and eclectic mash-up of terms in an attempt to file them under some form of quasi-genre. Cataloguing their style, however, is an unwelcome act in Dyer’s books. “We like to not really describe it,” she said. “It’s good to get your own opinion. If you think about the instrumentation, it gives it a certain style; we play a string of instruments that could be classified as rock instruments.” They do come equipped with a kick drum, a guitar and bass sounds, but given that they have all been tweaked and modified, the resulting sound is equally abnormal. In 2009, the band appeared as a guest on Radiolab, a radio program also available as a podcast produced by a company based out of New York. According to Sanchez, their appearance on the show gave Buke & Gase a ton of invaluable exposure and since then, the band has never looked back. Are they able to pinpoint one outstanding career-defining experience? “All of it,” said Sanchez.